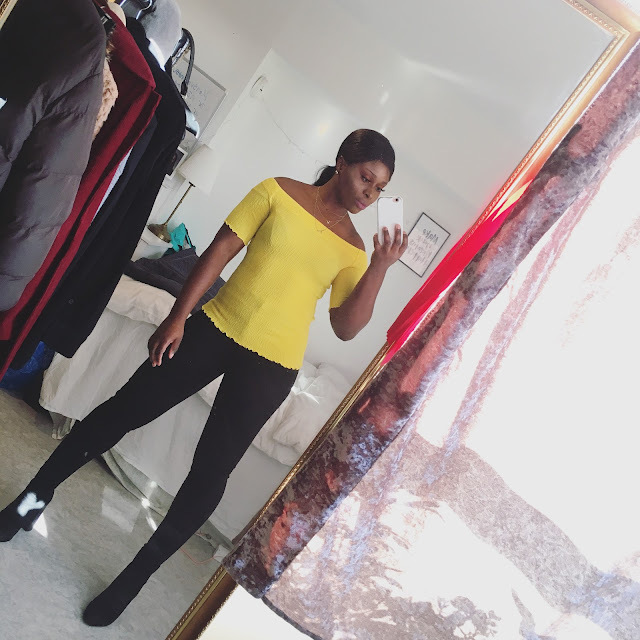 CHIOMA BANKS: CONGRATULATIONS TO THE CHAMPIONS! NIGERIA LEADER TO HOST FIFA UNDER-17 WORLD CHAMPION. WHAT'S UP GUYS!...YESTERDAY WAS AN AMAZING DAY FOR NIGERIANS (INCLUDING ME & MY FAMILY MEMBERS). THEY REALLY MADE US PROUD LAST NIGHT, WHEN THEY PLAYED THEFINALS FIFA U-17 IN DUBAI AND WON AGAINST MEXICO WITH 3:0. WE NIGERIANS' DON'T CARRY LAST AT ALL!..WE'RE VERY HARD WORKING, WHO WANTS THE BEST AT ALL & WE DO! CONGRATS TO US AGAIN #NIGERIA! Nigeria beat Mexico 3-0 in Friday’s final in Abu Dhabi to win a record fourth U17 World Cup. The 2013 FIFA U-17 World Cup was the fifteenth tournament of the FIFA U-17 World Cup.The tournament was held in the United Arab Emirates between 17 October and 8 November. Nigeria won the tournament after defeating Mexico 3-0 in the final, claiming the country's fourth title. Sweden won the bronze with a 4-1 victory over Argentina in the third place playoff match. 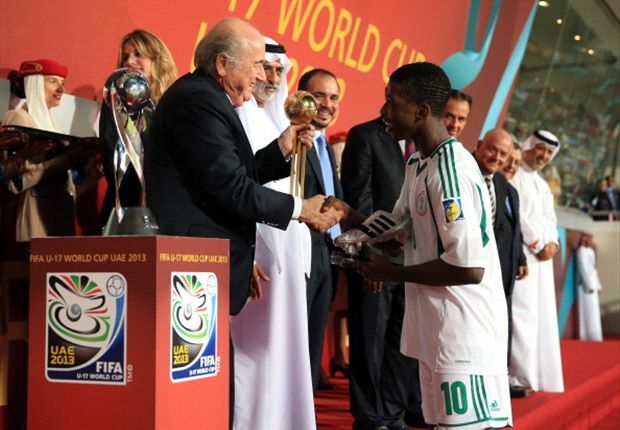 Golden Eaglets' Kelechi Iheanacho won the Golden Ball award as the best player of the 2013 Fifa U17 World Cup having scored six goals and provided seven assists. Iheanacho scored Nigeria’s second in the final with a calm finish before conceding the free-kick that resulted in the third moments later. The Taye Academy rookie also became the third Nigerian to be bestowed that honour following in the footsteps of Phillip Osondu (Canada 1987) and Sani Emmanuel (Nigeria 2009). Brazil midfielder Nathan was awarded the Silver Ball, and Mexico forward Ivan Ochoa, the Bronze Ball winner. Swedish forward Valmir Berisha won the Golden Boot award with seven goals while Iheanacho scooped the Silver Boot with six goals and seven assist to his credit in 564 minutes played in the championship. Boschilia of Brazil scored six goals with three assists to win the Bronze Boot. Golden Eaglet’s goalkeeper Dele Alampasu won the Golden Glove award as Nigeria took the Fair Play award. Nigerian President Goodluck Jonathan will on Sunday host the country’s team who won the Fifa Under-17 World Cup in the United Arab Emirates. Nigeria beat Mexico 3-0 in Friday’s final in Abu Dhabi to win a record fourth U17 World Cup after they previously triumphed in 1985, 1993 and 2007. Balloons being released before the start of the U-17 World Cup final between Mexico and Nigeria. Kelechi Iheanacho was named as the best player of the 24-team competition and Dele Alampasu was named the best goalkeeper. The team, known as The Golden Eaglets, were expected back in Nigeria on Saturday afternoon. Officials said they expect President Jonathan to reward the team at Sunday’s reception. Hefty cash gifts, national honours as well as houses in the country’s capital Abuja were given to the players and officials by the government when they last won the tournament six years ago.